You just don’t hear about large-scale text based games these days, but Torn has been rather quietly seeing massive success on desktop PCs. Launched 14 years ago, Torn bills itself as the game that Mafia Wars was built on. It lets players build a life in the city as a business owner, mob boss, or somewhere in between. You can take part in robberies, invest in the stock market, race cars, manage properties, the sky is the limit. 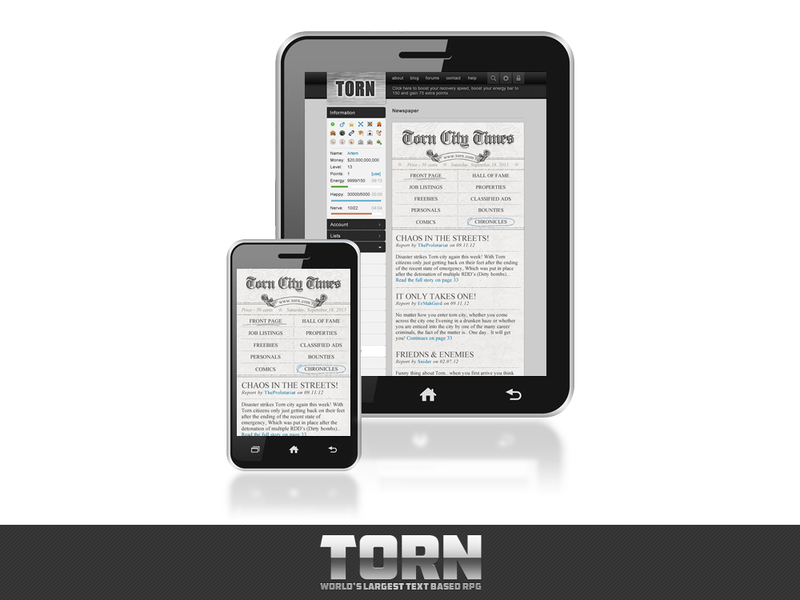 Continuing its success on PC, which has seen more than 2 million players worldwide and 20 thousand daily active users, Torn will be coming to Android devices on May 8. Alternately you can play right now by visiting the link down below. MMO Fallout should be running some preview coverage of the mobile version at some point in the future. « [Community] Live Events? In My Single Player Games?